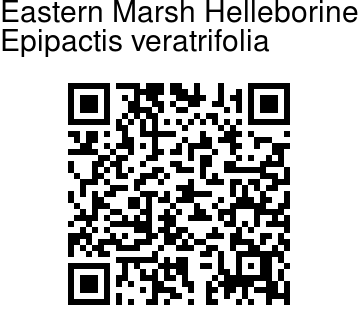 Eastern Marsh Helleborine is a robust terrestrial orchid, up to 1.2-1.5 m tall. Stem is densely leafy. Leaves are ovate-lanceshaped to lanceshaped, pointed or long-pointed, up to 20 cm long, papery. Flowers are borne in 10-60 cm long inflorescence. Rachis is whitish velvety, lower bracts are leaf-like, the uppermost as long as ovary. 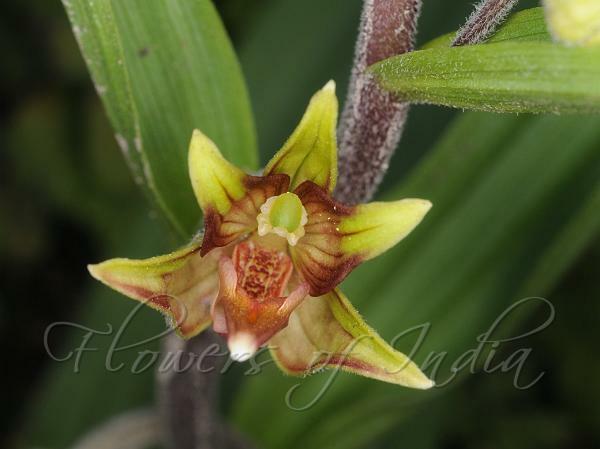 Flowers are pale greenish, tinged or veined with brownish-red. Sepals are spreading, up to 2.1 cm long, ovate-lanceshaped. Petals are slightly shorter. Lip has 2 small, erect, triangular side-lobes near the base. Inside with 2 reddish-brown ridges. Ripe seed-capsule is enlarged and distinctly stalked. Flowering: May-July.